Are There Any Restrictions Placed On A Collection Agency When It Tries To Collect On A Debt? Yes, there are several. Many of these restrictions are codified into federal law, specifically the Fair Debt Collection Practices Act (FDCPA). And when a debt collector violates this act, it must be held accountable for having trampled upon your consumer rights. The FDCPA is a federal law which lays out in plain language what a collector can and cannot do when it attempts to collect on a debt. For instance, a St. Louis collection agency may not make continuous calls to your place of work without your permission, it may not make repeated calls to your family, friends, or neighbors without your permission, and it may not make excessive calls per day to your home or cellular phone. Another duty placed upon all collectors is that they must provide verification of the debt in question, upon your request, and especially within thirty (30) days of having first sent you notice (usually by way of a letter) of the debt. So for example, if you receive a letter from Collection Agency X saying that you owe an unpaid hospital bill for $25, the letter should also state that you have the right to ask for verification of this debt within 30 days of receipt (if it does not contain this language, then they are in clear violation of the FDCPA). This means that you have the opportunity to demand that the collector provide you with proof of the debt in question (this usually is in the form of a breakdown of the debt, like an itemized bill). If the debt collector does not provide you with such proof, then they are in violation of federal law. Yet another example of the types of restrictions placed on a collection agency would be in the way in which the collector leaves a voice message. If a collector calls you and leaves a recorded message, that message must do two main things: 1) they must properly identify themselves as a debt collector, and 2) they must properly disclose the fact that they are attempting to collect on a debt. This is the so-called “mini-Miranda,” because it is designed to apprise you of your federal rights in this area of the law. If in fact a voice message does not identify those two pieces of information, then the collector is violation of the Fair Debt Collection Practices Act. If you were unaware of this information, you should not feel too badly. Most people have no idea that such a law exists, or that there are rights you may exercise against the unlawful tactics employed by some collectors. But this is why it is so terribly important to talk to an attorney who understands how the laws work, and how they may affect you. In addition, you may also be a candidate for a St. Louis bankruptcy if your overall debt levels are high. 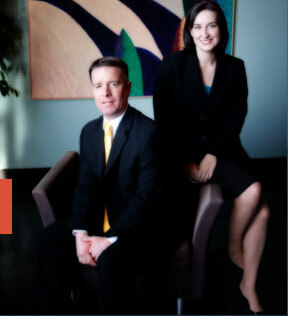 The affordable St. Louis bankruptcy attorneys at Brinkman & Alter, LLC have been making sure that our clients get a fresh start / clean slate, so that they can move forward with life.